M. Scott Peck in ‘the road less travelled’ starts: “Life is difficult”. What is most surprising, is that, for many people, this is a revelation! Go to any business networking event, or meet a potential client – especially during the current economic situation and they will be moaning incessantly about the enormity of their problems, burdens or difficulties as if life should be easy. Particularly for those just embarking on their journey, ‘success’ is a place far away. We may have wonderful dreams about it and a delightfully crafted goal. But as the days, weeks and months go by and ‘success’ doesn’t appear to be any closer, many people throw in the towel. More budding entrepreneurs than I can recall have given up – life without a salary is just too tough. When we’ve given up because ‘success’ is impossible, we’ll then criticize it. Anyone who achieves success whom we deem less worthy is the subject of our scorn and contempt – “they don’t deserve it!”. If we survive the ‘impossible’ stage, seeing others achieving yet success continues to elude us we search for the secret. We need to find the magic formula, the silver bullet or the golden key. Retuning to that bookshop to find ‘the’ book that will change our lives. 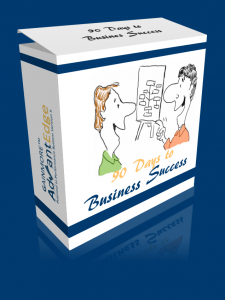 So many promise that you can achieve success in business, life, management, health, diet and they are snapped up. To sell more, we need the sales messages and techniques that instantly convert a cold call into a lifelong customer. To produce more, we need the unique leadership skills that magically and massively increase performance. To maintain shareholder value we need to increase profitability by increasing sales and reducing costs simultaneously. Either that or we cook the books to make it look as though we did. OK, so there’s no absolute secret to success. Sure we can learn from others, but they didn’t really do it instantly, it took time. But essentially, they were in the right place at the right time. No more than luck. So if success is down to luck – all I can do is hope for it. One day my ship will come in. Next year, when the current economic crisis is over. The dice will fall my way. May as well buy lottery tickets.If you’ve waited for ‘lady luck’ long enough and still on the journey, by now you may believe that luck only comes to those who create it for themselves. All I need is a break! Everyone has a story about someone they know who got their break. The telephone sales guy spotted in a mall by a movie producer and became an instant star. The busker in the subway ‘found’ by the record label. The crazy inventor who made gold from apple seeds. But, if all you do is wait for it, when your opportunity comes your way, you won’t be ready for it.So you’ve not had fortune turn up on your doorstep. The 43 steps to instant success didn’t quite work out as expected. That anticipated call from the client you’ve not met didn’t come. Your website is getting plenty of ‘hits’ but turning those into business isn’t quite happening. What I need is leverage. We look for an angle to exploit or for leverage over someone else. All I need to do is work harder! OK, so you’re in charge of the situation now. It’s not about luck or any special formula. It’s all about hard work. The best thing about working hard and producing results is that it feels rewarding. Talk to anyone who has achieved success in their business, and I’ll bet they worked hard for it. They just kept going. Putting everything on the line and never giving up. Hard work itself doesn’t bring success – you may be in a dead-end job, or your fabulous new product will remain unwanted forever. Most people take the middle road towards their success. A route that depends much on self-effort, yet recognizes that the outside world has a role in my success too. A huge number of people believe that success is an event, so they schedule for it. They attend the seminar by one of those fabulous speakers and just know that after this, they will have both the secrets of success and have made connections with like-minded people who will help each other achieve success. The most common form of event in companies is the ‘training event’. Apparently, the two-day workshop on strategic business leadership is going to equip you with all the knowledge, experience and determination to make your business the incredible success is deserves to be. That ‘rah-rah’ motivational event might just be the tipping point of a decision to move on, but success is a process not an event. This is the massively growing space for business people. We’ve all heard the phrase, it’s not what you know, it’s who you know. So we network for success. No longer is this the restrictive domain of the ‘old school tie’, the golf club or the masons. Networking is accessible to all – and the world becomes your oyster. New technologies allow us to easily expand out network beyond any previous borders. I can network with people across the globe and in my local chapter – over breakfast, lunch, coffee, in a virtual world, in a chat room, a forum. And surely, if I connect with enough people, I’ll get to meet the ‘who you know’ that is going to make that difference. The right relationships certainly help in achieving your ‘success’ but connections alone neither improve life nor guarantee ‘success’. No-one can network himself to success unless he has something to offer in the first place. As we network with more and more people to increase our visibility we want to be recognised by more and more people for our talents, our special ness, our difference. So we strive for success by being recognized. For the great business people, it might be the cover of Time magazine. For the scientist or academic, maybe the Nobel prize. The writer for the Pulitzer. The movie star an Oscar. The musician, a Grammy. Most people would settle for a lot less. Walking into a room full of people and being called by name to come over and ‘let me introduce you to…’ A client who recommends you to a friend. A collaborator who endorses you. A boss who thanks you.